This Columbus Day weekend I decided to put the issue of overuse in the High Peaks region to a little test. I visited three of the most crowded trail heads in the area and hiked from two of them. I also investigated the State’s grand relocation of the Cascade trail and parking. What I saw confirmed a working theory I have been informally discussing with both private folks and local and state government employees. The theory isn’t mine, indeed a number of people have the idea. It’s a simple concept, really: back country overuse can be mitigated in large part simply by addressing parking issues. In other words, we can manage recreation capacity by more effectively managing transportation capacity. While the visits to the busy trail heads were illuminating, it was a fifth foray this weekend, a climb of one of the Adirondacks’ greatest peaks, that cemented my thinking. It convinced me that we need to limit parking in ways that are reasonable and pair that with an accessible on-line system that provides modern, real-time, hiker-friendly alternatives. I believe if we do that we have a good chance to effectively manage the recreational use of busy High Peaks trails without licenses, permits or other methods that fundamentally limit hiker access itself. In the interest of avoiding the accusation that I’m directing hordes of aspiring hikers to some little-used gem, I’ll speak of this trail generically (although savvy High Peaks hikers will be on to me in seconds). The mountain to which it leads is one of the biggest in the park and serves as a gateway to several other peaks. The view from the summit is considered by some to be the best of all, including a good friend who is a well-known photographer in the park. 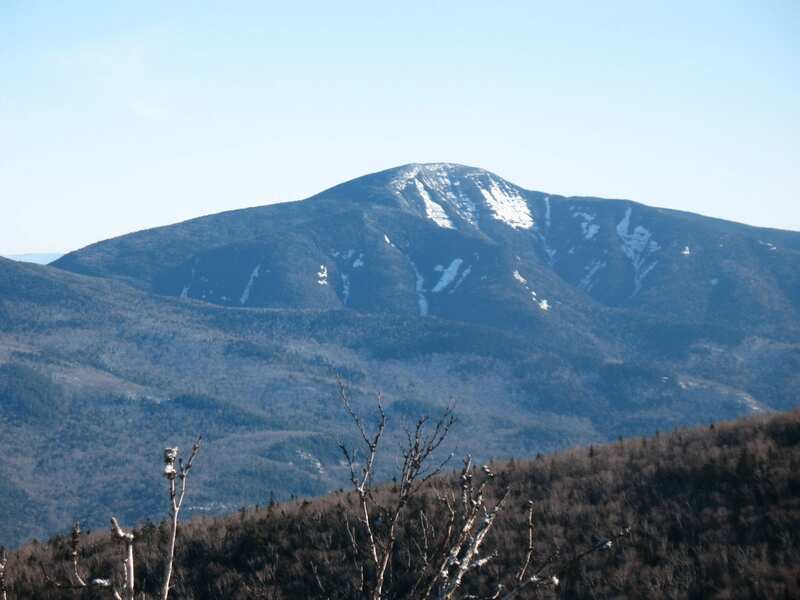 The route is on the longer side, more than twelve miles round trip and more than three thousand feet of vertical ascent, but it is still well within the realm of a day hike – less distance than Mount Marcy, for example. Add in the fact that much of the vertical is gained on the easy grade over the first five miles and the overall effort is less than many shorter ascents, including Algonquin, Giant and other popular climbs. The route itself is a corker, encompassing water bodies, rivers, slides and a gorgeous variety of forest zones that are sometimes delineated dramatically by the trail itself; in one stretch it is as though Nature drew a razor-sharp line between Hemlock forest and mixed hardwoods. In every way I can think of, this route is a total winner. Then why, I wonder, on Columbus Day weekend, did our party encounter only two backpackers coming out from a lean-to and one other hiker all day? Granted the weather was not sunny but it wasn’t terrible either, with only a few moments of rain. More than that, the trail itself spoke of very light use. It looked nothing like other High Peaks trails and more like a trail one would find in a modestly-used section of the central Adirondacks: narrow, having good vegetation, roots and rocks and in only a few places eroded to mud or bedrock. The trail head is on a main road, not out of the way. It is a moderate hike, it leads to a major summit and it is gorgeous. Yet clearly it is not getting a ton of hikers. How can this be? Here’s why: there is only parking space for maybe six cars, and no room to cheat along the side of the road. This trail is the last place we need to worry about overuse because the parking self-manages it. Now imagine a redesigned travel corridor at the western end of Cascade Pass. A small number of parking spaces are clearly marked, using the existing footprints. Everywhere else is declared no parking, with signs – and enforcement. Guardrails are added or moved as needed to allow room for bicycles to ride the shoulder but not enough for cars to “cheat” park along the roadside. A small roundabout is situated in one of the exiting parking areas, for shuttle and hiker drop-off. A kiosk stands nearby with 10 minute parking spots on either side. The kiosk has information on alternative parking areas and trail heads (such as at Mt. Van Hoevenberg), shuttle services and schedules, and Uber and Lyft numbers. Importantly, it also offers near-real-time information on available parking spaces at all area lots. A well-advertised smart phone app does all that the kiosk does, plus it encompasses many other high-traffic areas where similar solutions have been implemented. The app is intelligent – that is, rather than making you hunt for information, it recognizes where you are and assembles all the relevant information for you. Crazy? Nope. From a technological standpoint this kind of thing is simple, and it can be implemented in easy stages. Now instead of arguing about hiker capacity, which is much harder to quantify and control, we make eminently sensible decisions about parking capacity, and the hiker capacity becomes much less of an issue. The mechanism for managing parking needs and it’s the associated impacts becomes the mechanism for managing hiker needs and their associated impacts. For example, we limit parking on Route 73 at Cascade as described above. Is the reduced capacity negatively impacting the use and perception of the Park? Okay, expand the facilities at Mt. Van Hoevenberg. That works okay, but too many people are upset about the longer hike? Implement a shuttle to the original trail head, for a fee that covers costs. One shuttle every hour is not enough? Add a second one. And if it is deemed that too many people are using the trail, exceeding recreational carrying capacity and causing undue damage? Reduce the number of shuttle runs, or tighten parking. You get the idea. If this kind of management is paired with a service-oriented system that gives people alternatives and real time parking information, they’ll love it. No one likes arriving at a dangerously overcrowded parking lot, trust me. Meanwhile, providing all these alternative services represents an excellent business opportunity for our communities and businesses. Cascade’s current use represents as many as a few thousand people per week. That’s a lot of services: sign me up! Is this one-off scenario in an Almanack column the answer to all our overuse problems? No. But with comprehensive and inclusive planning, an effective and visitor-friendly parking management system could be a huge part of it. Photo: a lonely trail from a small parking lot. This all comes back to one thing: money. This is doable, but for it to happen the state needs to take this seriously and provide the resources to do it. I suspect too many political leaders think “The Adirondack Park? Forever wild means we don’t have to think about infrastructure.” But that’s what this is when you come right down to it. Plus, trying to regulate where people go interferes with ‘freedom’ and isn’t that why people go into the woods, to get away from all that? The paradox of ‘wilderness’ is that it is a human construct. Once you add humans to the mix, you also have to have some kind of structure to manage what they do if you want to maintain the illusion of pure untouched nature. This is a very sensible non-draconian approach to the issue. An excellent article/idea and contribution to the discussion. It does however still require the state to tackle the “hiker capacity” or carrying capacity question. How do you decide whether to add or subtract a shuttle or how large to make the parking lot? We have to tackle the carrying capacity issue whether it is via “Limits of Acceptable Change” LAC, “Visitor Experience and Resource Protection” (VERP) Framework, or some other means. You can’t avoid it. I agree, here you are treating the symptoms not curing the disease. Thanks for the good comment. Of course you are right. Addressing parking is not a solution, it is a management tool, part of a larger toolkit. We need systems thinking here. In my mind part of that systems thinking approach should marry recreational carrying capacity to transportation carrying capacity. A systems approach is much more important than jumping to regulated access limitations. Most of the Park is nowhere near carrying capacity. I have always felt that limiting parking is critical. What is more important is enforcement of No Parking zones which will probably need to extend a mile on either side of the trailhead. You see this along 81 at the Salmon River. Lots of “no parking” signs along the interstate. Thanks for the nice photo you took with your 6s Mr. Nelson. I downloaded it to my desktop and opened its Exif file which actually has a link to Google Earth. Within a minute of opening your article I was flying over your secret spot. Whatever will be next?? I think this technology is scary in some senses, but perhaps it could be used to establish an information center detailing real time trail use. Some kind of voluntary crowd-sourcing thing. What about webcams on parking areas? Brainstorming – bye. … or once could just recognize Noonmark and Giant plus the telltale slide and deduce it is the, far from secret Dix Trail. When I first saw that photo, I recognized the location immediately. I took an almost identical photo on Saturday. But this coincidence got me thinking about whether the Dix trail is actually a good example of a trail that sees limited use due to limited parking. There is no argument that the trail head at Elk Lake is more popular than the trail head on Route 73. Many hikers desire to climb the entire range in one day. The most well known way to accomplish this is a loop starting/ending from Elk Lake. While there are other routes that would also allow a hiker to summit all of the peaks without much backtracking, you won’t find them mentioned in many (any?) Guide books. I believe that this is the main reason why the Route 73 trail head is not as popular – the size of the parking area is not the reason. I’m not suggesting that Pete Nelson’s article is wrong. Capacity management should definitely be considered as part of the solution. 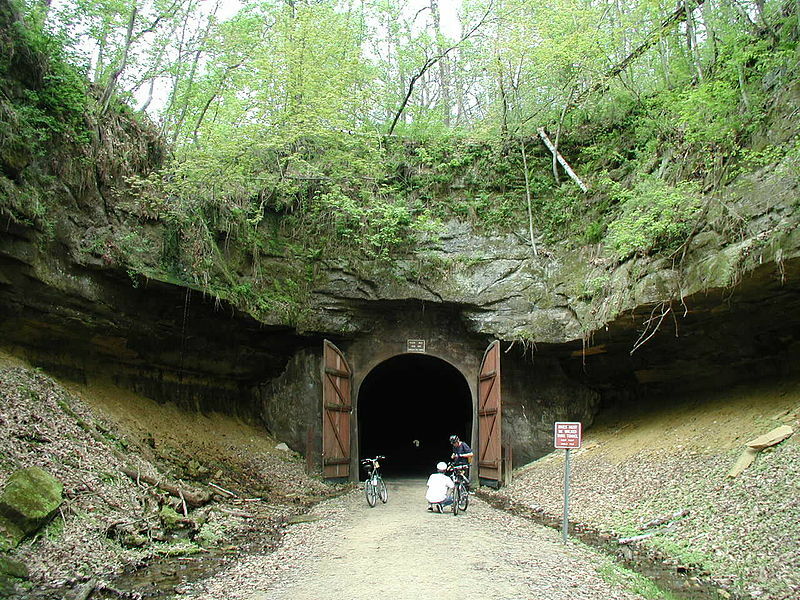 But the Dix trail from Route 73 is not a good proof of concept. I think that folks want to do the day hike thing (good for the hotels) since the camping is not very “remote” its close to other sites an pretty crazy one the bears show up. HPW hiking is more social than remote. Just my opinion. Good idea, but how is limiting parking not limiting hiker access? Certainly limits it for a particular trailhead. Part of the never implemented DEC HPWA UMP years ago addressed limiting parking to limited overuse. I agree that control of parking is still the easiest way to control use levels. That control only “kicks in” on the busiest days and takes the peak off of the use levels. Otherwise, no permits or enforcement patrols are needed. This was the plan in the High Peaks UMP, and it worked quite well to control the situation at the Loj and the Garden, which 25 years ago were perceived to be the biggest problems. The particular geography at the Garden allows a shuttle system to be set up, and that has worked reasonably well ever since. At the Loj, parking was prohibited on both sides of the road back down to the bridge. For reasons I don’t understand, North Elba had the “No Parking” signs removed on one side of the road, so the overflow starts there at the Loj. Had the overflow started at Meadow Lane, later arrivals would have faced about two miles of extra road walk each way – likely a reason to go somewhere else that day. And now with technology that didn’t exist 25 years ago, there are ways to alert hikers about the parking situation before they even get close to the High Peaks. That coupled with some structural barriers to parking should help to improve on the current chaos. Hardly the ideal solution, but the best we have to continue the long tradition of free and open use of the Forest Preserve. 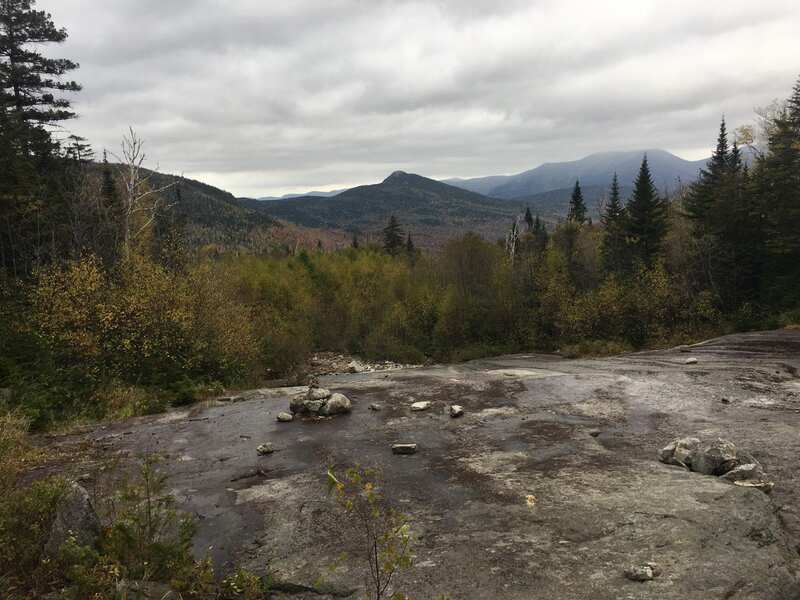 If this were Baxter State Park in Maine, which has only two gated entrances, the solution would be much simpler; but this is the Adirondacks and we have to deal as best we can with the geography, land ownership, and land use regulations that we have. Keep the masses out of the park! If they come enjoy the park, they might realize how important conservation is! Let’s let them suffer, pent up in their studio apartments instead. Why not make it self-service, *paid* parking like in the White Mountain Nation Forest (at some trailheads)? Pay at the trailhead or buy a weekly pass at participating merchants. Offer an annual pass for the benefit of locals and frequent visitors. Disallow nearby overflow parking to ensure compliance. The parking fees can help defray the cost of maintaining the parking areas (or more). All suggestions involving technology are only viable where trailheads are furnished with services and infrastructure (electricity; landline internet or cellular reception). Currently, only ADK Loj and the Garden fit the bill whereas most others have nothing. In addition, they are staffed so cars can be counted and reported via a web-site (a dedicated app is not necessary) or, minimally, on a billboard in Keene Valley (before you begin driving up to the Garden) and the northern end of Adirondack Loj Road at route 73 (before you begin driving to the Loj). Wasn’t the weather on Columbus Day/Cdn Thanksgiving rainy? The whole weekend was crummy. That might explain the low turnout on the Dix Trail. Otherwise, it’s a popular route. The parking area is frequently busy. In fairness, it’s not “cascade-busy” but then it’s much more than a “cascade-length” hike. It also features the steepest, one-mile ascent of all High Peaks. These factors also serve as “deterrents” for neophyte or casual hikers. Yes, make it more expensive to play. That will limit numbers to some extent. I personally don’t think it would have much effect on numbers – it certainly doesn’t at the Loj. But it could possibly help pay for enforcement, portable privies, and NO PARKING signs! I agree, Taras. That parking area for Round Pond often has cars lining 73 on the right hand side in the summer. It is not immune either. I understand the concept, but that’s not very comforting when you’ve planned a specific hike based on your party’s abilities and drive 4 hours in the early morning only to find increasingly restricted parking access. And your thoughts on a smart phone app are horribly unrealistic – cell service is basically non existent at most trailheads in the high peaks and my guess is 90% of hikers wouldn’t be able to access your real time data for alternative trails. And, you’re not solving the real problem. I’d take a couple hundred considerate hikers with a good foundation in LNT, wilderness preparedness, and orienteering skills on the trail with me over a couple dozen irresponsible, inconsiderate, keg-carrying, littering, crapping-right-on-the-trail jerks. You have to take a class and purchase a license every year to hunt. It insures that those who partake in that activity have the knowledge to do so safely and with respect for the resource, as well as the money from the licensing goes to conservation and management efforts. We need a wilderness preparedness class that includes LNT, orienteering, and basic first aid and a yearly licensing for backpacking/hiking on state forest preserve/wilderness areas. The money from the licensing would go to trail improvement and DEC S&R and management costs. Now, the bulk of the hikers on the trail will at least have the knowledge to hike responsibly, plan properly, and be respectful of the trail and other hikers – and hopefully inspiring them to get involved with conservation and trail improvements along the way. Providing education, collecting money, and forcing people to take responsibility for themselves is the only way to truly solve the problem. While I have been an advocate for licensing all along, it is only one part of the solution. It doesn’t fix overflowing, dangerous parking areas at popular trailheads. There is no magic bullet here. A comprehensive plan (with many aspects) for a complicated problem is what is required. In the past, keg-parties and trail-crapping were usually few and far between because of risk of being caught by a Ranger. With current staffing, the risk of being caught doing anything stupid or illegal is minimal. Problem is, the odds of a Ranger being able to intercept a poorly-prepared hiker is also minimal. As far as the online trailhead info is concerned, it doesn’t have to be accessible at the trailhead. The QR code or simply a posted web address just gives you a place to access up-to-date information about that particular section of trail. If there is access, fine, if not, you are SOL unless you prepared beforehand (like in the good old days before smartphones). The website would have an index of links for all trailheads. Basically, an online, updated trail guide. But even this isn’t THE answer – but rather another supplemental tool to educate people the way they access information nowadays – just as a map and compass are critical. My bookshelf contains dozens of out-of-date trail guides. I doubt newbies own even one. I never thought of going into the HPW or anywhere really without a map, compass, and guidebook. Until we somehow drive into the heads of new hikers that a cell phone alone does not prepare them for backcountry hiking, Rangers and volunteers will be pulling them out of the woods. The Rt. 73 trailhead might not be unique but the combination of a gorgeous mt. and a 2.4 mile trail on the main highway into Lake Placid certainly make this a special case. As I and many others have noted here(and even more as they’ve driven by on a busy weekend) the parking situation there has become downright dangerous. Simply put, that stretch of 73 past the Cascade lakes has little to no ‘wiggle room’ to create a parking lot. And even if a larger area were created up the road(towards Placid) that would probably create a flow of hiker traffic where trucks routinely wisk by at a pretty fast pace. So reading many of the posts over the last months about possible solutions I was attracted to the suggestion of re-locating the trailhead at Mt. Van Hoevenberg and constructing a trail from there that would connect with the current trail somewhere up the mountain. Then when I read that the DEC was going to close the Cascade/Pitchoff trailheads for Columbus Day Weekend I wondered how that would pan out. There have been a few references here but I would think that the DEC would have some kind of assessment as to how it went. Personally I believe that the current Cascade trailhead should be permanently closed and the Mt. Van Hoevenberg option adopted, IF feasible. It essentially doubles the trail length up Cascade. Furthermore, could adaptions be made at MVH that wouldn’t infringe on the XC trails and parking there? I suggest this would be no magic wand but is worth a formal assessment by the DEC and perhaps others. Will changing a 4.8 round trip to more than 8 miles discourage some hikers. Yes, but that seems a preferable option to trying to limit parking or hiker numbers at the Rt. 73 site. Some other heavily used or eroded trails have been closed over the years; is it time to close one of the most popular trails in the High Peaks due to safety concerns? This is one problem of many. I’ve left the High Peaks until the ice and snow arrive. I’ve spent time in NH and recently more time in Vermont. NH sees three times the number of visitors and on any given summer weekend, their parking lots are overflowing to the point of absurdity (especially in the Notch). Their trails (for the majority) are in great shape. I spent this past weekend in Vermont at a a place I visited 30 years ago. Arriving Friday night, there were only two people in the shelter and I pitched my tent in the designated area behind it. By Saturday night, the shelter had almost 30 people in it, exceeding the capacity of 18, four more tents joined mine and every tent platform was filled. The trail in was fairly flat and very little mud and no erosion. The Long Trail was in fine shape. The difference? Well, both VT and NH are National Forests. I’m not saying that is the way the HP should go, but I think there is something to be learned about planning and maintaining trails that NY has yet to learn. People complained about the Colden stairs, but they are doing their job. Our soils are thin, our trails all go up steeply. There are no switchbacks. More then, not less, needs to be done to harden and protect the land. Stone stairs, switchbacks were possible, and better draining. There won’t be less people next year, only more, especially with the 46er documentary coming out next month. I love Blake, but I regret its creation. I think that parking is only one very small part of a very large problem. I think a lot of people think they can do it without little preparation or knowledge. That is a cultural problem and can be addressed with some education, but mandating it would be a hassle of tracking and enforcement that NY doesn’t have or want. Your idea is progressive & sounds do-able. Hmmm…. I like this idea. Especially as I have a large cargo van and a large parking spot below the high peaks. I’m thinking $20 to park all all day and $10 to get a trip up to the peeks (per person) 8 x $10 + 2 * 20 $ = $120 per trip is a nice hull….. Yes I know that sarcasm does not come through the internet well but I think you get where I’m going. There are many parts to the solution but unfortunately permits will have to be apart of the fix. Eliminate 46’er glorification altogether and put together a comprehensive list of every peak above 2000′ with excellent views complete with difficulty ratings (including an equipment guide) and amenity rankings. Peak-baggers will still go for the “big” hikes, but we need to get serious about spreading the crowd (and wealth) around, and not just managing traffic patterns along the Rte 73 corridor. I kind of agree with Aaron. Admission: although I have climbed all 46 along with many other Adirondack summits, I never registered with the organization. My bad? It’s human nature to want to be part of a challenge such as the 46ers. They do a lot of good, but with social media and all it’s only going to get more crowded with all the issues that this discussion mentions. 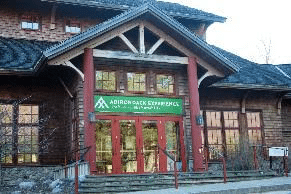 Somehow, there needs to be an [ADK Mtn Club?] organization that does the same for popularizing other summits and areas in the Park as the 46ers have accomplished. Some good ideas and that’s what this site does pretty well is produce a good range of ideas. My post above about relocating the Cascade trailhead on Rt. 73 was in no way proposed as a template for reducing the ills of overcrowding but mainly as a way to deal with the fact that this Cascade trail attracts too many hikers on a very busy roadway that because of the terrain and lakes has few options offer relative to changing the parking patterns. I don’t know if a parking lot in the MVH location is even feasible but at least it’s worth a look. RE: a permit system, which many good people on here have discussed for a while. I just don’t see how it would work relative to the open access of many trails in the mts. and also that I don’t see NYS, which already underfunds the great work that the understaffed rangers do, will ante up the money to implement and enforce a permit system with so many access points. RE: the 46ers; again, an issue discussed here ofttimes. I wish the 46ers would admit they are a part of the problem and offer more concrete ways to modify their negative effect, and not just tout that they’re educating people at the trailheads and mountaintops. Too many ‘educated’ hikers on the trails still have erosive effects that mother nature can no longer bounce back from. And your theme of publicizing and promoting the many other high points in the park that people can hike to is right on. I also wish the 46ers would drop their myth of their ‘trail less’ peaks and help the DEC cut modern, hiker resistant trails up these to stop the negative effects of the countless herd paths up them. This statement is utter rubbish. When was the last time you set foot on one of these peaks? 1970? Please acquaint yourself with the current state of affairs before making fact-less statements about trail-less peaks. Question: Name one of the so-called ‘trail less’ peaks that has “countless herd paths up them”. The unmarked trails to the ‘trail less’ peaks fall under the ‘minimal maintenance’ Class II status (limited maintenance is provided by volunteer trail adopters) as outlined in the 1999 High Peaks Unit Management Plan. They represent a joint effort of the ADK 46ers and the DEC, performed many years ago, to consolidate the herd-paths of yore into official, unmarked, minimal maintenance trails. This was done in compliance with the recommendations made for ‘trail less’ peaks in the 1999 High Peaks UMP (including the removal of summit canisters). See page 146. One idea would be to develop Whiteface more with hardened trails and infrastructure, then direct hikers there. This would keep pressure off the central high peaks region, and also make it convenient to patronize Lake Placid businesses. How far away is the closest parking, if the 5 spots are already taken?